In business since 1991 and offers tax services nationwide. 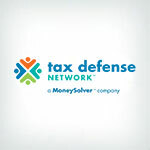 National Tax Relief is an affiliate of Washington Tax Services specializing in a wide range of tax debt solutions. Although National Tax Relief is a sister company to WATAX, all tax representation stems from one localized office so no there is no confusion with contact numbers or addresses. Free consultations are offered, and in addition, their team of tax representatives is prepared to offer free tax advice to anyone calling with inquiries – regardless of whether or not services are retained. They claim consultations are approximately 10-15 minutes in duration, but are able to discuss all concerns and answer any questions regardless of the time it takes. Tax relief services are extended to each of the 50 states and internationally, and can help individual taxpayers and businesses with IRS tax problems, although they are only able to help resolve some tax issues at the state level. Each client is provided with a team of four representatives which includes two Federally Enrolled Agents, a staff researcher, and a case analyst allowing them to defend clients from audits, collection, wage garnishments, along with other potential downfalls instigated by tax issues. Pricing is based on a flat fee structure, and like many companies in the industry, they will thoroughly assess the tax case before quoting a price. They claim quoted fees are unconditional and will never change throughout the term of the program, with the average fee ringing in at $1500. If for some reason, the IRS rejects the initial proposition for resolution, the team will prepare appeals at no additional cost, proving client satisfaction and relief. Keep in mind, if cases are extended, a reopening or continuation fee may be applied. This company offers a fair refund policy of 50 percent within 15 days of enrollment, and also requires a minimum of $7,500 in tax debt, which is a little lower than many competitors which require a minimum. Additional resources are offered to consumers via their Tax Resolution Talk and 941 Tax Problem blogs. They also offer an Offer in Compromise link to a website with the “most coveted form for tax resolution…,” which is appreciated by those on a quest to increase their financial literacy. This company charged on a flat fee structure which must be paid over a short period of time, their 50 percent before 15 days poses somewhat of a risk. They also claimed competitors drag out the payment plan as an excuse to draw out the contracted work and take advantage of clients. Which leaves us wondering if this is a sales tactic used by National Tax relief, otherwise, why would there be a need to say anything about this matter at all if they are confident in their practice? National is not accredited with any of the accreditations we look for. We would like to see them show their dedication to the industry by maintaining some of the major accreditations in the industry. National Tax Relief is affiliated with the well-known tax relief company WATAX. We appreciate their refund policy and flat fee structure, although we would like to see them do more to help consumers on a quest to strengthen their financial fitness. Overall, we would recommend taking advantage of the free consultation to determine if they can meet your tax relief needs – keep in mind, you’ll be calling directly to Washington Tax Services as the contact numbers are identical – or visit some of our top recommend tax companies. You will need to have consultation to determine your eligibility for service before you can receive a price quote. To determine your eligibility for an Offer In Compromise, you will need to provide information that includes your income, spouses income, monthly expenses and assets for quick sale. If you qualify for service, a company representative will talk to you about pricing and payment options before proceeding with your case. 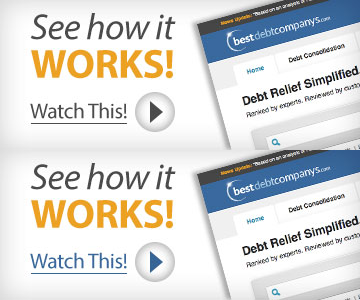 This company is experienced in working with debt relief and has been in business since 1991. The American Bar Association (ABA). Other than that, this company does not appear to hold any memberships or certifications from any financial associations. This company has an enrolled agent on staff and is able to assist customers in all 50 states. National Tax Relief also assists American customers who currently live overseas. Yes, they offer a free consultation. You may ask for a refund within 15 days of initial payment if you are not satisfied with your service. This refund only applies to uncompleted work, however, and you will get 50 percent back. If you have already completed service with National Tax Relief, refunds will be issued on a pro-rata basis. None. Up-front fees are included in price of service and vary according to the debt solution you choose. You can reach them via the contact form on their website.